If you have data, that data should be backed up. 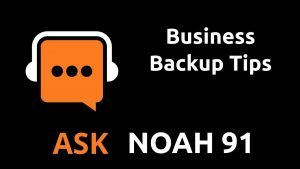 If you own a business or manage the IT infrastructure for a business than your backup strategy needs to be reliable, straightforward, and functional. Have you ever wondered what happens to the backup should you be hit by a bus? We tackle that question, dive into some SQLite CoC drama, and chat with Simon Quigley about the latest Qt release.